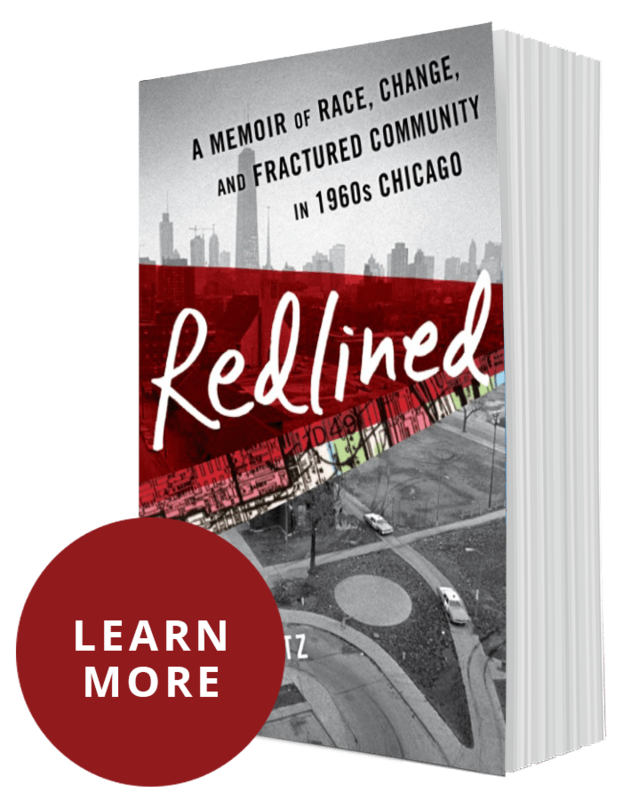 Chicago and family history buffs (no pun intended) –and anyone who enjoys a good laugh, should get a kick out of today’s blog post. Summer is waning, giving way to back-to-school ads (sigh), and later sunrises, but the Lake Michigan water is nice and warm (71-73º) after a summer of sunshine. I thought it would be fun to celebrate beach time with a post that celebrates the last lazy, hazy days of summer. Not quite as racey as the models in the Sports Illustrated version, these two guys were far from posing “in the buff.” Modesty was more in vogue. 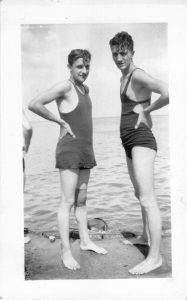 I’ve dubbed their suits the “mankini,” a male bikini, about 1928-1930. My dad, Fred Gartz (dob 10/10/1914), left looks to be about fourteen-sixteen. His brother, Will, a year older. Given the number of snapshots I have of the whole family at the beach, even when the boys were young men, their philosophy of family togetherness wasn’t just lip-service. It was documented in photographs. Notice the bandage on my dad’s left knee. He had been sliding on the ice with a gaggle of boys when he was a young teen and fell at an awkward angle; ripped the ligaments in both knees and had to be in a cast for a year and a half (that sounds excessive, but he had to go to a special school for disabled kids. His knees hurt him for his entire life, but that almost never held him back from having fun. 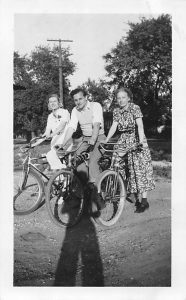 His diary entries from 1933 – 1935 are chock full of his active adventures: riding bikes and horses, fencing, swimming (of course), playing baseball, dancing (that’s how he and my mother met), and more. 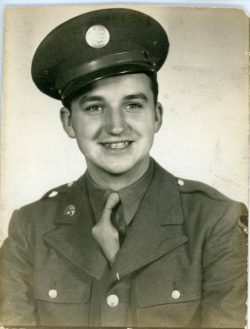 That was in his off-hours, when he wasn’t helping his janitor parents: shoveling snow and coal through our bitter Chicago winters: the snow from the back and front of multi-flat apartment buildings and all the sidewalks; coal into voracious furnaces that had to be fed overnight too when the temperatures dropped into single digits. But I digress! We’re still in summer, so let’s keep our eyes on those young men in their fashionable mankinis. with less to see, the lovely young ladies at the beach could let their imaginations run wild!